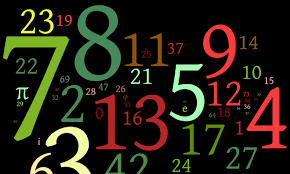 every number has some special powers but also has some common problems. for example for birth day 2,11,20,29 are emotional persons and some people use their emotions for fun. check how to increase your luck and solve your problems by using simple tricks with the use of numerology with your birth date. birth date 1, 10, 19, and 28 - This number is rule by sun. it is represent Sun’s energy. use number 1 this is the lucky number for them. if you feel depressed than Take yellow paper and write 1 with red ink on it and keep it with you. birth date 2, 11, 20 and 29 - This number related to Moon. this is an emotional number. if you want emotionally strong than Take white paper and write 22 with yellow ink and keep it with you. 22 is the lucky number for you. birth date 3, 12, 21 and 30- This number rules by Jupiter. some times they feels low or less of impact s use a yellow paper and write 333 with yellow ink and keep it with you, get benefits very soon. birth date 4, 13, 22 and 31 - It is the number of Rahu. 13 is the lucky number for you. they gets more ups and downs in life than any other person. to get stability just keep a sky blue color paper with wrote 13 with blue ink. birth number 5, 14, and 23 - This number rules by planet Mercury. if you feel double minded to take an important decision or lack of concentration than keep a green paper in pocket or purse and write 505 with green ink. birth date 6, 15, and 24: This lovely number relates with Venus planet. 24 is the lucky number for them. they always need strong relations and get attraction so just keep white paper and write number 24 with pink ink. birth date 7, 16, and 25: This number relates with Ketu. 77 is the lucky number for you. Take white color paper and write number 77 with golden color or yellow ink and keep it with you. You can avoid ups-downs and diseases. birth date 8, 17, and 26: number 8 rules by Saturn. some time struggle become destiny for 8 number peoples. if you want to increase your luck than always keep Take blue paper and write 62 with blue ink. birth date 9, 18, and 27: number 9 is energy of Mars.to avoid accidents and anger use to keep white paper with 99 writes on it with red ink. you will feel more strength in you.